ca. 450 - 500 B.C. Side A: Heracles and his squire Iolaus battle the Lernaean Hydra. 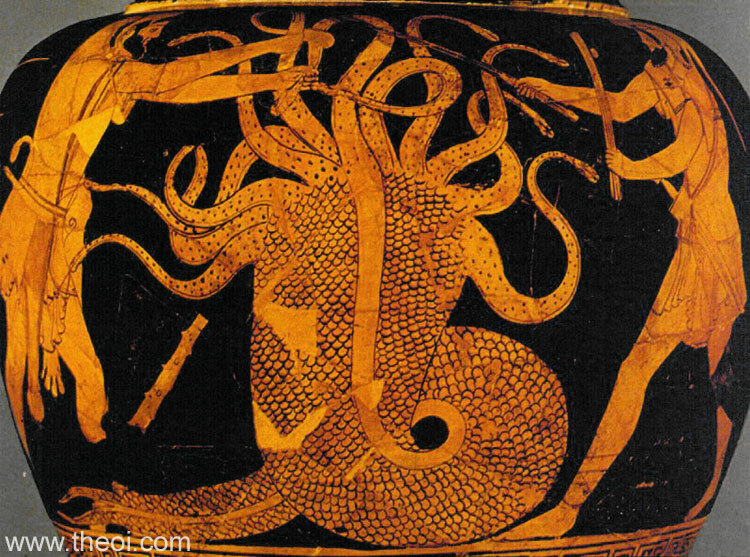 The serpent is depicted as a thick-bodied brute with twelve heads sprouting from its trunk. Heracles, on the left, snaps one of the beast's necks while Iolaus, on the right, applies a brand to the severed stump. Side B: Nereus, Hermes & Athena (not shown).